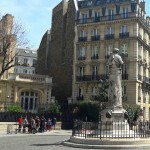 A walk in the south part of the 16th arrondissement from Porte de Saint-Cloud to Avenue Mozart. 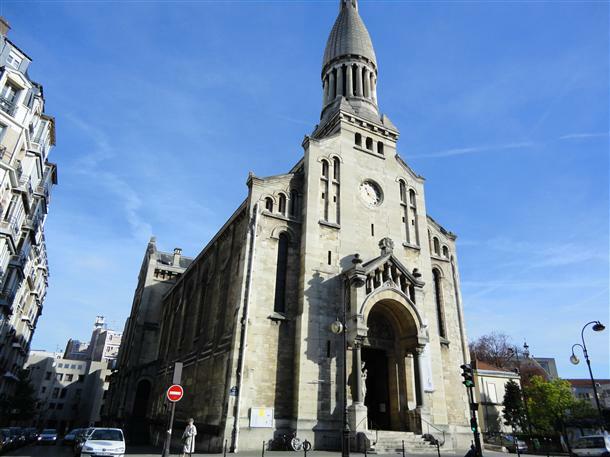 The “Village d’Auteuil” offers you to explore at the same time a remarkable Art Nouveau style architecture, private villas, and the bourgeois but welcoming atmosphere of this very pleasant district of Paris. The walk in the “Village d’Auteuil” starts Porte de Saint-Cloud, in the south of the 16th district (metro line 9 or the bus 72). Look at the centre of the place 2 columns which bas-relief have been done by Paul Landowski, sculptor of the 20th century who made, amongst other things, the famous Corcovado of Rio de Janeiro (see all the public masterpieces in Paris). Take avenue de Versailles. On Tuesday, Thursday and Sunday is a nice market in there. After about 300 meters, turn left on rue Boileau and turn left again rue Parent de Rosan. You will see at the beginning of this street a beautiful private street. Continue straight ahead and turn right avenue de la Frillière. There, no gate to prevent from strolling it. 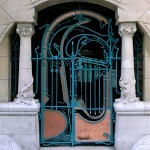 At the n° 9 is a building called « l’école du Sacré-Cœur » (School of the Sacred-Heart), made by Guimard. Go straight ahead. 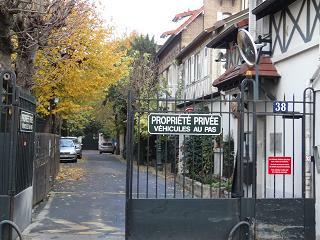 Rue Claude Lorrain, you can visit the Auteuil cemetery on your left. Otherwise, go back rue Boileau on your right and turn left. Go straight ahead rue Boileau (you must cross boulevard Exelmans). 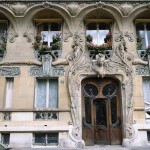 Rue Boileau houses many architectural wonders, mainly Art Nouveau style. The first curiosity is at the n° 62. This unusual building in the Vietnam embassy. Far away, at the n° 40, is the hôtel Danois, housing Algeria embassy. Notice, besides the Art Nouveau style, the oriental inspiration of this building. 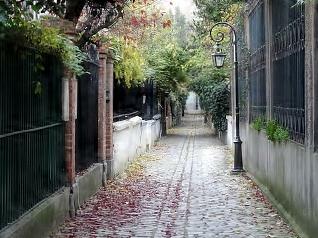 Close by it is the Hameau Boileau, a wonderful private street, sadly closed to public. At least, you will see at the n° 34 the l’hôtel Roszé, first edifice made by Guimards… We told you : rue Boileau, a not-to-be-missed street ! When you are rue Molitor, turn right. You will see there a new private road, Villa Molitor. Continue straight ahead then turn left onto rue Chardon-Lagache. Go as far as Place de l’Eglise d’Auteuil. Arrived place Jean Lorrain, take rue Jean de la Fontaine, then turn right onto rue Bastien Lepage. Take a look on the right side at the Villa Michel-Ange and its nice building at the end of it. 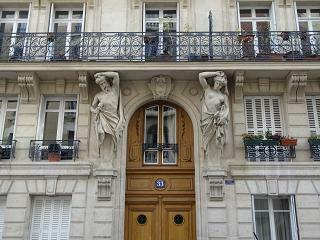 Go straight ahead rue Leconte de Lisle and have a special glance at the door of the building at the n° 33. Go then rue des Perchamps on your left, and go ahead rue Georges Sand. When you are avenue Mozart, turn right and walk as far as métro Jasmin (Ligne 3).